Although some people are still skeptical about chiropractic care, even the American Medical Association (AMA) suggests that adjustments should be tried prior to surgery--the one option that should be a last resort. Dr. Amodeo has seen many back pain patients in our Memphis office who have been hurting for years and who are worried that they might need an operation for their back pain. Dr. Amodeo has had great success in helping patients recover and avoid risky back surgery, and the science backs up our experience. Recently, in a study carried out on almost 2,000 Washington State employees who suffered from a back injury while on the job, more than 42% who saw a surgeon first following their injury found themselves having back surgery within three years. That compares to just 1.5% of the patients who first sought treatment with chiropractic care, showing that this non-invasive approach is very effective at keeping you out of the operating room. There are alternatives to risky medical procedures. Chiropractic is a proven effective and safe way to improve the function of your spine, which is the root cause of back pain. Dr. Amodeo has helped many patients in Memphis recover. Give our office a call today at (901) 757-8311 for an appointment. We work with many car accident cases in our Memphis office, and a typical symptom our patients report is neck pain. If you have neck pain after a car accident, you're not alone. Dr. Amodeo sees this type of problem very often in our Memphis office. Neck pain is a common symptom after a car accident, and it's something that Dr. Amodeo sees frequently in our Memphis office. 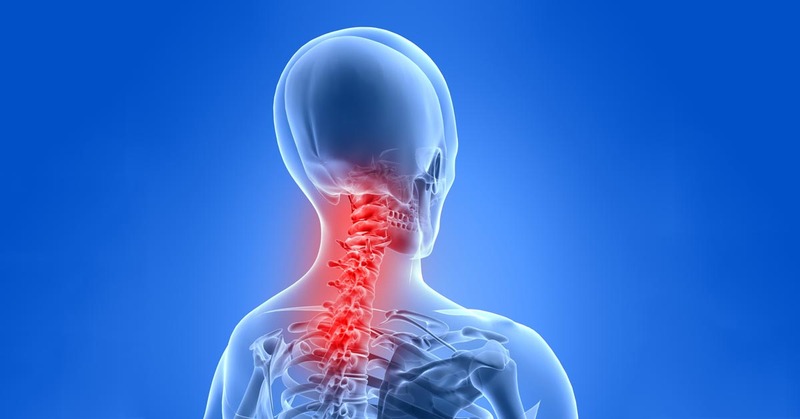 What causes neck pain after an auto collision? How can a chiropractor help? Why is neck pain such a common problem after a car crash? How can your chiropractor help you heal? Let's see why neck pain is commonly experienced after an auto collision and see how chiropractic care can help you recover. Let's look at the root cause of neck pain after an auto collision and see how chiropractic care can help. The key to recovering from neck pain caused by a crash is to understand the root cause of the problem and how chiropractic care can help. Chiropractic can be very helpful for neck pain symptoms after a crash. Let's examine what causes neck pain and why chiropractic works. Chiropractic care is an excellent way to treat neck pain. Let's look at how neck pain is caused by a crash and how Dr. Amodeo can help you. It's not surprising that neck pain is the most common symptom experienced after an auto injury. Even in a car wreck, your head is rapidly thrown back and forth, so it's not surprising that neck pain is the most common symptom from this type of injury. Your neck is exposed to very high stresses and strains during a crash, so it's not surprising that neck pain is so common from this type of injury. During even a low velocity wreck, your head is subjected to very rapid acceleration. In such crashes, a head that normally weighs about 10 pounds can instantly weigh eight times as much. This force exerts an extreme strain on the tissues of the neck. The bones of your neck are held together with strong bands of tissue called ligaments, and these ligaments provide stability for your neck. These ligaments can be sprained during a collision, just as the ligaments in your ankle can be sprained. A sprain means that the ligament is stretched or torn. When you experience a sprained ligament, the injured tissues gets swollen and painful, and that's what occurs after a car crash. Your chiropractor helps by increasing movement in the injured region, which helps the tissues heal and helps minimize scar tissue. You don't have to suffer from neck pain. Dr. Amodeo is conveniently located in Memphis to help you heal, whether you've been in an auto collision or not. If you've been hurt in a car crash and you're experiencing neck pain, Dr. Amodeo is here to help. Dr. Amodeo has been helping patients in Memphis since 2011, so we know what you're living with. We're here to help you, too. Let us help you recover from neck pain. The first step is to get an accurate diagnosis to determine what's causing your pain and then we will determine an appropriate treatment strategy. Next, we'll do a careful evaluation to establish the root cause of your problem, and then decide how to restore your body's natural functioning. Dr. Amodeo will determine what's causing your pain and then will work to restore your body to its natural functioning. Give our office a call today at (901) 757-8311 to make an appointment. We know how difficult persistent headache pain can be. Dr. Amodeo and our staff have worked with many men and women in our Memphis chiropractic office, and we've had great success in helping patients reduce their headache pain. A 2016 research paper confirms what we see in our practice. In this study, the authors started with 110 individuals who were suffering with headaches that originated in the cervical spine. 58 of these patients were given a series of neck adjustments; 52 were given some stretches and exercises. The treatment period for both groups was four weeks. Chiropractic is a safe and effective way to treat headache, back pain, neck pain, and many other health conditions. If you're tired of suffering, give Dr. Amodeo a call today at our Memphis office at (901) 757-8311. We're here to help get you relief. In our Memphis practice, Dr. Amodeo has helped many patients recover from back pain. If you are suffering from back pain, you've probably been tempted to take some medications to reduce the pain. You should understand that research indicates that chiropractic is often a much healthier choice than drugs when it comes to alleviating this particular type of problem. In a 2013 report published in the journal Spine experts included 101 individuals who had experienced back pain for at least 48 hours. Each patient was then assigned to one of three groups. The first group, which consisted of 37 individuals, received chiropractic treatment and a placebo of the non-steroidal, anti-inflammatory drug diclofenac. The second group of 38 participants received sham chiropractic adjustments and the real drug. The third group of 25 people served as the control as those individuals received sham chiropractic care and also received the placebo, thus having no real treatment whatsoever. All of the patients who received some form of real treatment, whether through chiropractic or the NSAID, fared better than the control patients who had no actual therapy. However, when the two active groups were compared to one another, the people who received chiropractic care had improvements that were "significantly better" than those who took the drug. Because chiropractic care is non-invasive and doesn't use drugs, it helps promote healing without unwanted side effects. For example, NSAIDs can result in ulcers, hypertension, and other serious health issues. Plus, the benefits of chiropractic care last longer as it's intended to resolve the source of the problem, not just treat the signs and symptoms. If you're ready to address your back pain naturally, then chiropractic care is for you. Schedule an appointment in our Memphis office with Dr. Amodeo today at (901) 757-8311. We'll help improve your back pain in a healthy way! We work with many auto injury cases in in our Memphis office, and a common symptom we see in our patients is headache. Chiropractic can be very helpful for headache symptoms after a crash. Let's see what causes headache and why chiropractic works. There are many different kinds of headache. Headache that's triggered by a car crash, though, usually starts as tension or strain in the muscles of the neck. In a collision, the neck muscles can be torn, which causes inflammation and pain. These types of headache can be felt in different places, including the back of the head or even the forehead. Another common cause of headache after a crash that we see in our Memphis office is cervicogenic headache, or headaches that originate in injured ligaments of the neck. Ligament injury is quite common after a crash, and it's important to get treatment for this type of problem to avoid the creation of scar tissue. Chiropractic is an excellent way to treat headaches, including those caused by car crashes. Dr. Amodeo can help reduce the irritation and strain in your neck, which will help relieve the headache pain. Let us help you recover from headache. Dr. Amodeo has helped many people with the same problem, and we can probably help you, too. Dr. Amodeo will first determine what's causing your pain and then work to restore your body to its natural functioning. Give our office a call today at (901) 757-8311 to make an appointment. Many people suffer with headache pain, and tension headaches are a frequent problem in our busy lives. Postural problems and stress are common causes of tension headache, and ones that Dr. Amodeo and the staff here in our Memphis chiropractic office have a lot of experience in treating. The authors discovered that the spinal adjustments were beneficial at relieving pain, and that the best results were found when adjustments were combined with the suboccipital inhibition. When we get run down, the nerves and tissues in the neck can be disrupted, leading to pain. Chiropractic works by eliminating these stresses and restoring the normal nerve function to the area. If you live in Memphis and are dealing with any kind of headache, we're here to help you get relief. Call Dr. Amodeo today at (901) 757-8311 for an appointment or more information. Chiropractic is based on the concept of allowing your body to naturally heal through spinal adjustments and lifestyle changes that stimulate overall health. For Dr. Amodeo, this means working to restore your body's healthy functioning to prevent the need for drugs or surgical treatments. We notice that most of our Memphis patients are happy to find a natural solution for their health problems. One advantage of chiropractic is that it helps people reduce or even eliminate the use of drugs. Medications are oftentimes supplied to people who have back pain. This is such a significant concern that the American Academy of Neurology (AAN) issued a report stating that opioid (painkiller) risks outweigh the benefits when prescribed for back pain. Some of the most common opiates, according to the National Institute on Drug Abuse, include hydrocodone (Vicodin), oxycodone (OxyContin and Percocet), morphine, and codeine. Figures offered by the AAN cite the fact that approximately half of the patients taking these types of substances for a period of three months are still dependent on them five years down the road. This can further complicate the issue of back pain and healing, particularly if an narcotic addiction arises. Compare that to chiropractic which incorporates natural healing and the advantages are clear. While a drug might be helpful at temporarily relieving the discomfort of a health problem, it's not a long-term solution to the problem. Drugs don't mend your damaged back; it will only conceal the pain. Dr. Amodeo will first examine you to get to the root of your back problems and then work with you to eliminate the problem -- without any risky drugs. If you're ready for relief of your pain, naturally, give our Memphis office a call at (901) 757-8311 to make an appointment with Dr. Amodeo. We manage many auto injury cases in in our Memphis office, and a common symptom we see in our patients is thoracic outlet syndrome. Why is thoracic outlet syndrome such a common problem after an auto collision? How can your chiropractor help you heal? The thoracic outlet is a bundle of nerves and blood vessels that pass through your neck and shoulder to your arm. These nerves and blood vessels don't have a lot of space, so they pass underneath and between the strong bands of muscles that support your head. In a crash, these muscles can be stretched and strained. If damaged, the muscles become inflamed and tender, and they can develop scar tissue which limits motion and puts pressure on the tissues of the thoracic outlet. Pressure on the nerves can cause tingling or numbness in the shoulder, elbow and even the wrist. Pressure on the blood vessels can also cause problems in the arm. Chiropractic can be an effective way to treat thoracic outlet syndrome, as Dr. Amodeo will help improve mobility in your spine and restore normal nerve function in your neck and shoulder. You don't have to suffer from thoracic outlet syndrome. Dr. Amodeo is conveniently located in Memphis to help you get better, whether you've been in an auto collision or not. First, we'll do a careful evaluation to establish the root cause of your problem, and then decide how to restore your body's natural functioning. Give our office a call today at (901) 757-8311 to make an appointment. 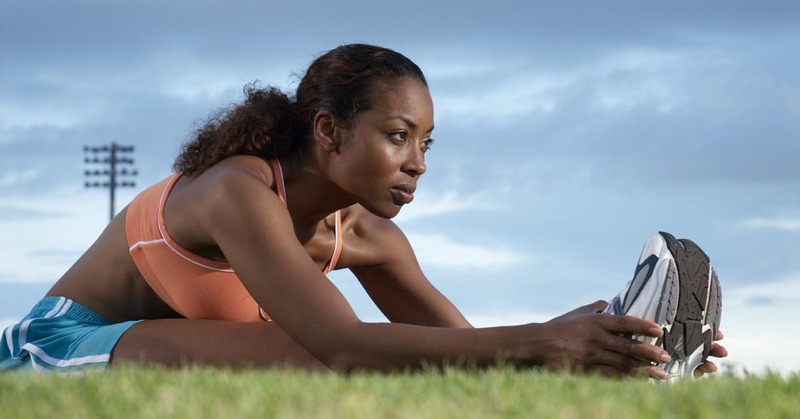 When playing sports activities that require a lot of lower body movement, like football, soccer, and basketball, it's common to suffer some type of injury to your hips or legs. Between pulled hamstrings, sprained ankles, knee injuries, and more, many players have found themselves sidelined. Dr. Amodeo has seen all of these problems in our Memphis patients. Fortunately, chiropractic adjustments can help prevent some of these injuries from developing and research proves it. Dr. Amodeo keeps up-to-date with all of the latest scientific research, and in a paper published in BMC Musculoskeletal Disorders, researchers from Macquarie University in Australia studied 59 semi-elite Australian Rules football players. Roughly one-half were placed in a control group and the other half were put in a therapy group that received sports chiropractic care at regular intervals. During the first six weeks, this meant getting care once a week. The following three months consisted of an adjustment every two weeks before decreasing those to one visit monthly for the final three months of the study. The authors noted that there was a "significant" decrease in the number of leg strains the players received in the treatment group when compared to the control. Furthermore, they noticed that the subjects who received chiropractic also had fewer weeks of missed practice and games as a result of non-contact knee injuries. This led them to determine that sports chiropractic intervention should be added to "the current best practice management." Every major sports organization in the United States and the US Olympic Team has chiropractors on staff for their athletes, because they know that chiropractic really works. If you live near our office in Memphis and would like to see if Dr. Amodeo can help you boost your performance or reduce sports injuries, give our office a call today at (901) 757-8311 for an appointment. If you're troubled with severe pain, Dr. Amodeo and our staff are here to help you heal. Give our Memphis office a call today at (901) 757-8311 for an appointment today. In our Memphis office, it isn't unusual for us to see people struggling with sciatic nerve pain, and Dr. Amodeo has helped many of them improve with chiropractic. What makes chiropractic so useful to those who suffer with this condition? For starters, it reduces their time of recovery and a Norwegian medical study confirms it. 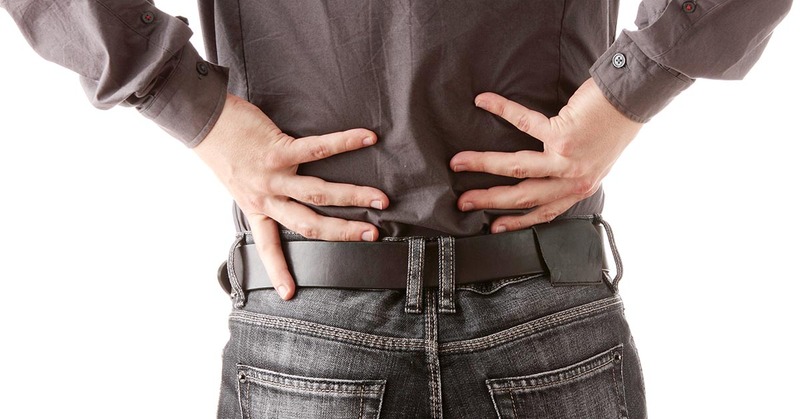 In the report, which took place in a Norwegian hospital's orthopedic division, researchers looked at 44 patients who reported abrupt low back pain that was identified as acute sciatica. The individuals were all treated by a chiropractor, with the average follow-up being two years after treatment. The authors found that all but two patients returned to work after receiving chiropractic care, which is a 95% success rate. Furthermore, the average amount of time that the patients spent off work "was reduced by two thirds as compared with that associated with conventional medical treatment." Considering that the Bureau of Labor Statistics reports that 170,450 days of work were lost in 2013 due to employees dealing with back or spine-related issues, that is almost 112,500 work days that could potentially be recovered each and every year solely by receiving chiropractic care. Not only would that increase productivity, but it could also decrease costs to businesses and workers from lost work. If you live in Memphis and you suffer from sciatic pain, Dr. Amodeo is here to assist. Give us a call at (901) 757-8311 and we'll work with you to find the root cause of your sciatica and get you back on the road to health.